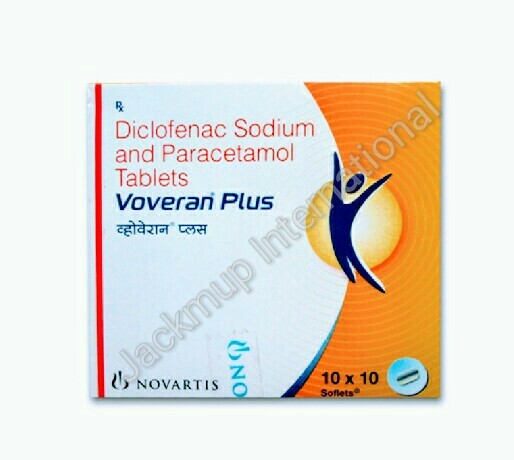 Description:- Voveran sr 75 tablet is used in fever, headache, arthralgia, myalgia, dental pain, post operative pain, pain during menstruation, osteoarthritis, rheumatoid arthritis, ankylosing spondylitis and gout. Voveran sr 75 tablet is a non-steroidal anti-inflammatory drug (NSAID). It works by blocking the release of certain chemical messengers that cause fever, pain and inflammation (redness and swelling). "Diclofenac should be taken with food or immediately after meals. Take the medicine with food to avoid stomach upset. Do not take antacids withh magnesium as they can interact with the drug. Do not take diclofenac, If you are allergic to diclofenac. Do not drink alcohol while takig this drug. Do not drive or use any tools or machines, if you feel dizzy, tired, have a headache or get blurred vision after taking diclofenac."